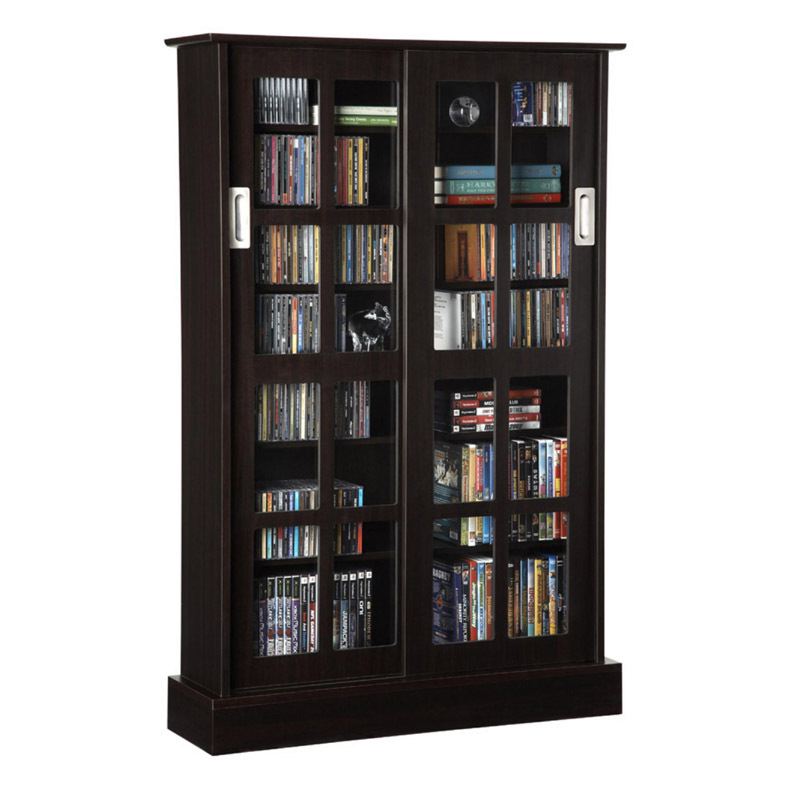 More on the Atlantic Windowpanes Series Wood Media Cabinet with Sliding Glass Doors (Espresso) 94835721 below. Uniquely designed for maximum CD, DVD, and VHS media storage. 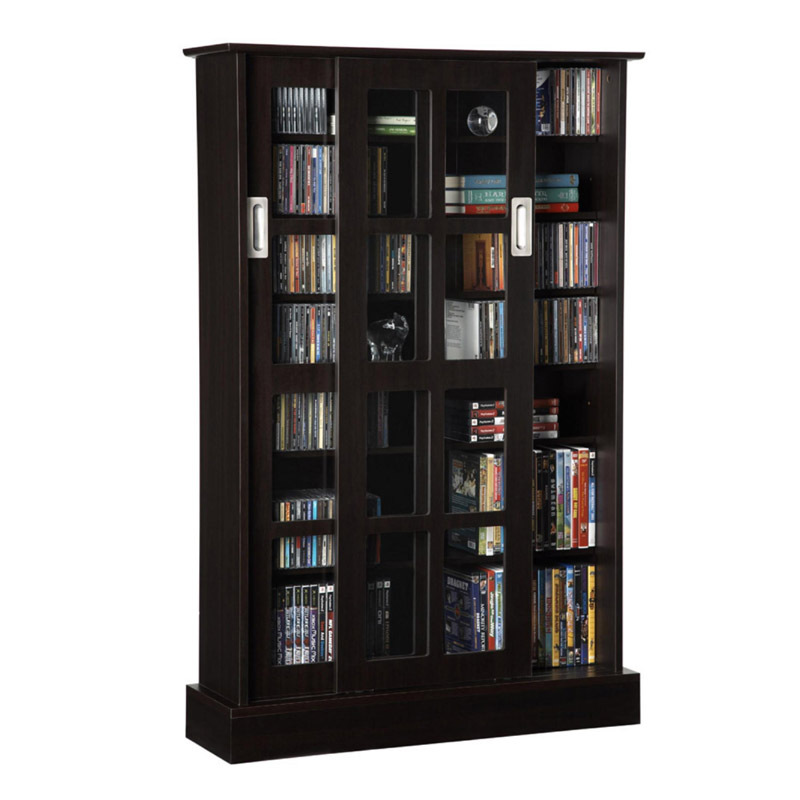 Sophisticated cabinet for traditional living rooms and upscale decor. Formal, elegant and functional sliding glass design provides easy access to media. 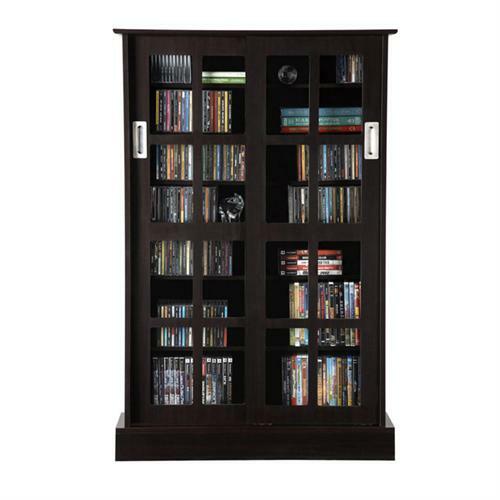 Adjustable shelves provide Maximum flexibility to store a variety of media types. Cut tempered glass windows present a refined and finished look. Unique two way sliding door provides exceptional space-saving solutions. Accommodation for 576 CD, 192 DVD or 216 BluRay.